Many smartphone users of today often face this problem of privacy breach due to their device being used by others. This includes sensitive emails, applications, as well as personal pictures/videos. 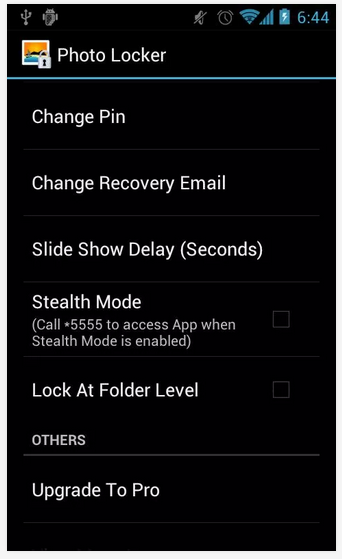 In this post, we shall be discussing how you can hide sensitive media files from the stock Android gallery. First, let us first tell you how the Android gallery works. The Gallery application is designed in such a way that it scans for supported files, that is pictures and videos. These can be in any format that work with your phone. The most common formats include JPEG, BMP, PNG, etc. for pictures, and MP4, AVI, 3GP, etc. for videos. What the Gallery app basically does is that it searches for all files with the above mentioned extensions, and indexes all these files on it’s local database. However, as your device is used by other people with whom you don’t always want to share every picture/video, you can hide particular files which only you would be able to access. 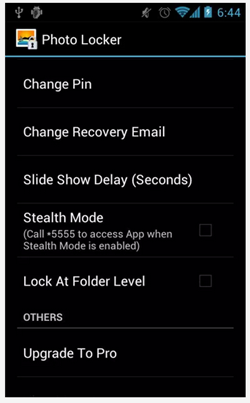 For all those who are new to Android, the Gallery Hide app method would be a better option since it is a bit easier compared to the other method. However, if you’re comfortable with tweaking around using file explorers, you can go ahead with method 2. Please note, you have to follow either of the two methods, not both. This method will be illustrated assuming you have ES File Explorer on your device. You can use usually any explorer, but ES File Explorer is recommended. 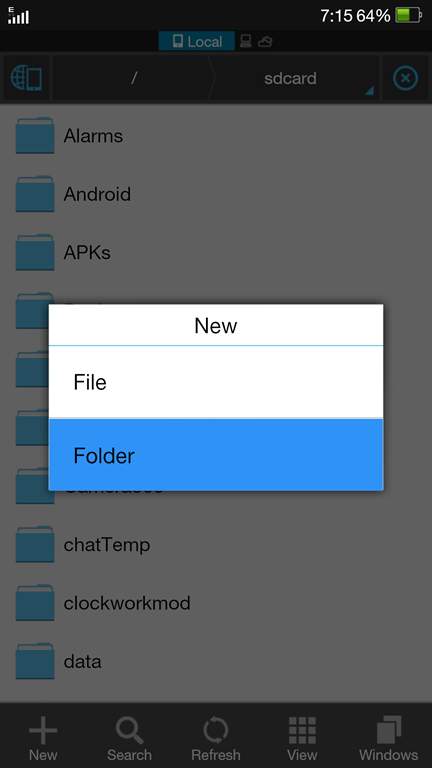 Next, identify and move the files you want to hide and move them to the folder you just created. 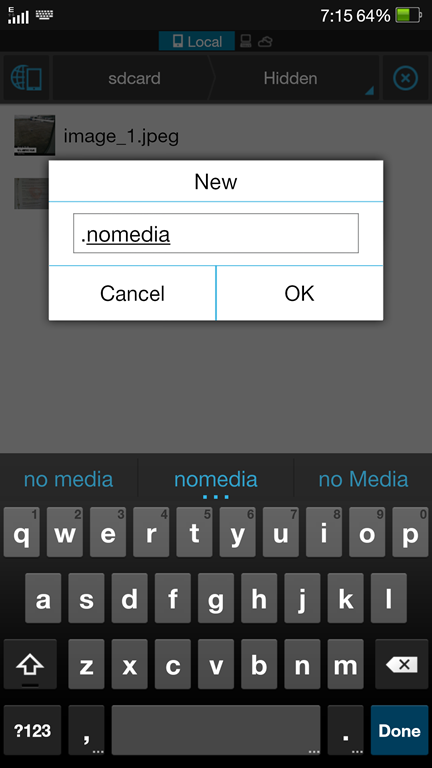 Next, create a new file named ‘.nomedia’ (without the quotes) in the same folder. Reboot, and your gallery should now be refreshed and the files you wish to hide would be hidden! In order to view the pictures, you can either navigate to the hidden folder using a file explorer, or you can move the files to another location which does not contain the .nomedia file. 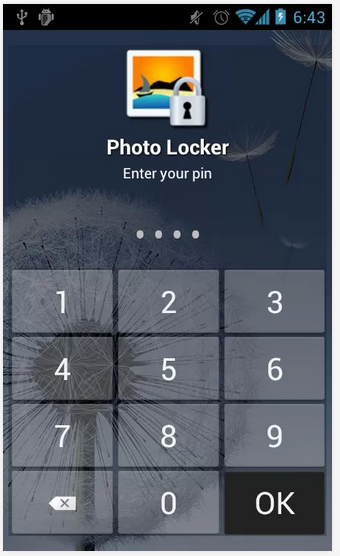 Head over to the Play Store and download the Photo Locker app which is available for free. The first launch will prompt you to set up a PIN which will be used to access the app, so you need to set up a PIN. 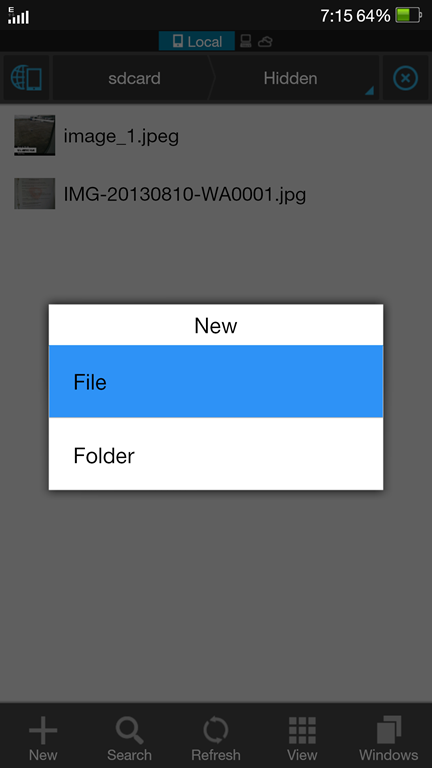 Next, you just need to tap to select the pictures you wish to hide, which will be moved to Photo Locker. 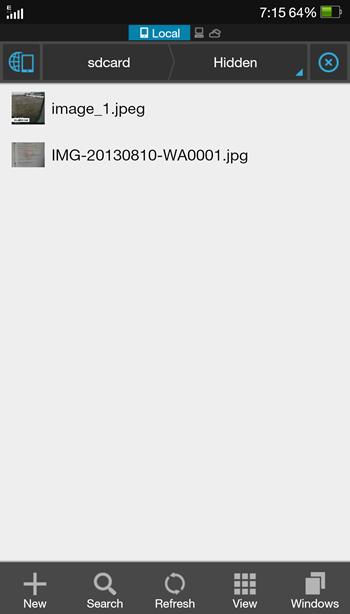 You can select pictures and tap on the ‘+’ sign to move them to Photo Locker. This will immediately move the photos to Photo Locker, which only you can access via the PIN you created. You can watch the video for more information. The app also has a few more features you can experiment with. Wasn’t it simple? You no longer need to worry about strangers taking a look at your personal photos/videos. Let us know if you find this guide helpful, and if ever something in this guide is not clear enough. Your first method doesnt work in the latest versions of Android..
Hi..in filemanager if u select an image or video hide option ll appear automatically…n I have hidded al my images n now I can’t find it…cn u tell me how to see those….plz..!! Latest android news and tricks is here. Learn everything with IT World Plus. Good post. Can you Update your 1st method to latest android versions..